Rick Douglas - Mowbray & Son, Inc.
After graduating from Minot High School, Rick Douglas enlisted in the U.S Air Force. After his enlistment was up, he worked for various businesses in Minot. 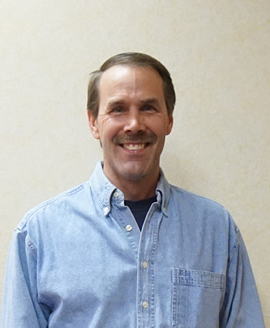 Rick was hired at M & S Sheet Metal Inc in October of 1993 as a Pre-apprentice. He became a member of the Sheet Metal Local #10 in 1994. Rick has worked his way from an Apprentice to a Journeyman while working for M & S Sheet Metal Inc. He is currently a Sheet Metal Foreman. Rick is certified in Quality Control and CPR/First Aid. Throughout his sheet metal career, Rick has worked on several MAFB projects, most recently the MAFB Temp Lodging Facility and the MAFB Renovate 1085. He has also worked with many apprentices by helping them learn the sheet metal trade. Rick’s sense of humor can lighten anyone’s day.